Informing the public, encouraging them to get involved, and inspiring them to change their behaviour is a challenge faced by many public facing organisations. 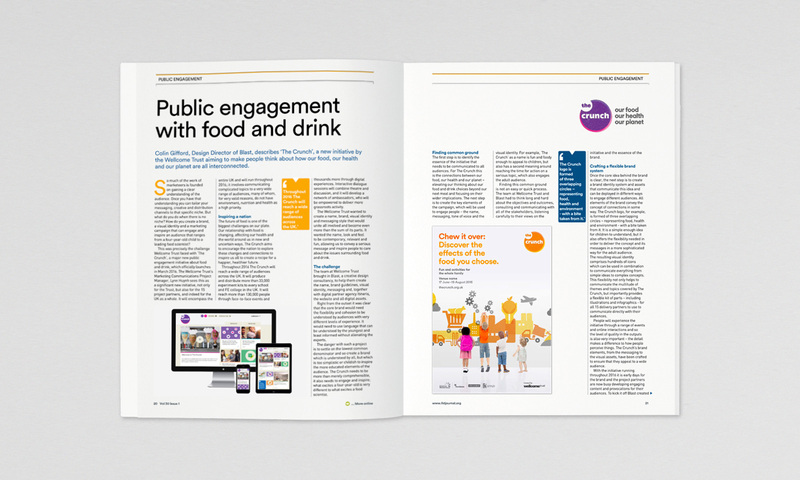 It’s one that we tackled when creating the brand and communications for Wellcome Trust’s latest UK-wide initiative about food and drink. It’s a multifaceted process involving research and consultation, insight and strategic thinking and the key ingredient of creative communication and engagement with all audiences. In this article for Food Science Technology magazine we talk about our recipe for success.